Some fancy coffee shops have these large beautiful coffee brewers that make coffee one drop at a time. A top chamber holds very cold water sometimes mixed with ice. That water is set to slowly release onto coffee grounds drop by drop. Maybe one drop every 1-3 seconds. The coffee passes through the coffee grounds and into a container holding the finished brew below. It takes a long time to brew, but the taste is bright and wonderful. It brings out and highlights attributes of coffee that are more difficult to taste when the beverage is served hot. 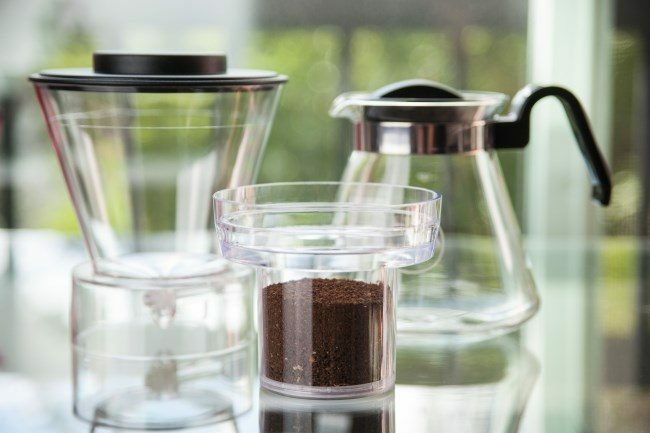 The good news is you do not need to seek out a fancy Japanese Oji Water Dripper to try this brewing method. 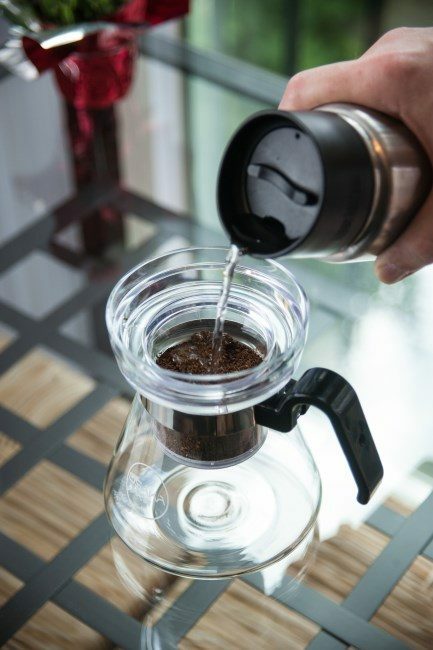 You can brew cold drip coffee at home. Cold Drip coffee is not the same as cold brew or even iced coffee. It is its own style. Cold Brew coffee is a full immersion brewing method. This means the coffee makes contact with the water the entire brewing cycle. 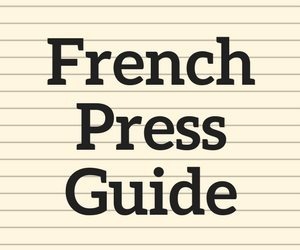 More like a very long French Press. 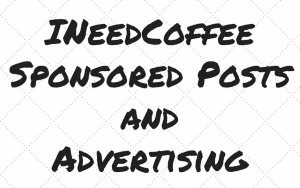 To learn more about Cold Brew coffee see the article Cold Brew Coffee is Not Rocket Science. Contrast this with drip immersion where the water makes contact with the coffee and passes through. 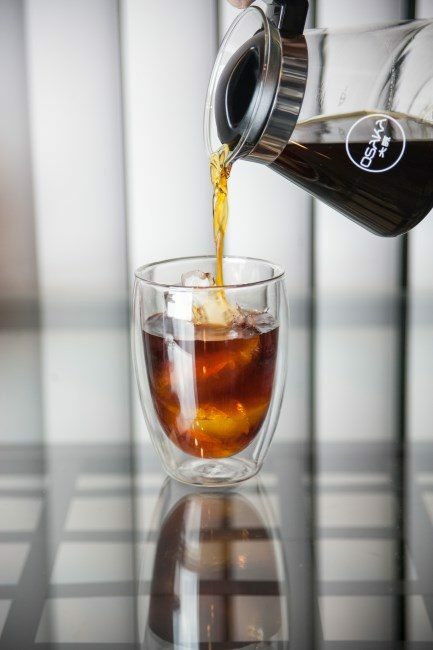 Iced coffee can be either full or drip immersion, but in most cases, the brewing time equals that of its hot brew equivalent. The coffee is brewed hot using a smaller amount of water and is then released onto the ice. If you get the ratios right what you get is a rich cup of coffee that is not watered down and cool to cold in temperature. 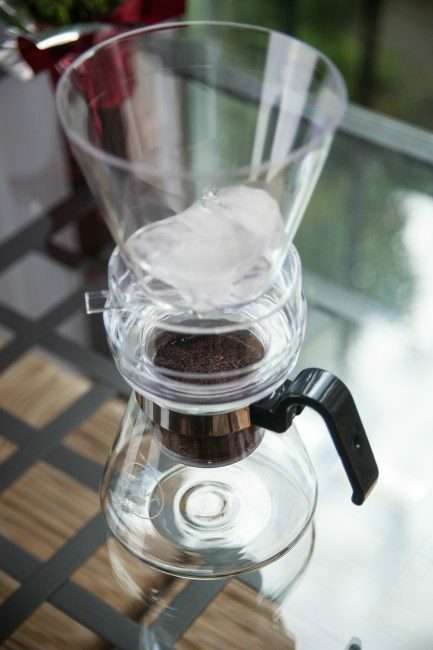 For an example of this brewing method see the article A Clever Way to Make Iced Coffee. Hot water passes through coffee onto the ice. * Some large commercial drippers will take 12-24 hours to brew. To me, the flavor of Cold Drip Coffee is much closer to Iced Coffee than Cold Brew. 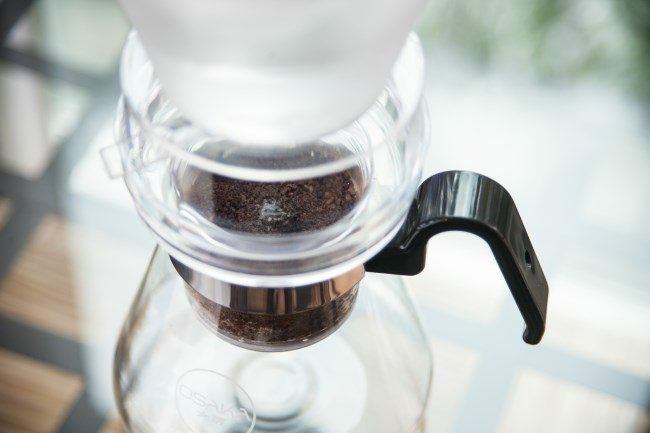 The cold dripper highlights delicate flavors that are sometimes harder to detect or lost in hot brewed coffee. Whenever I begin experimenting with a new coffee brewer, I grab the oldest coffee I have for the first few batches. The reason for this is I expect a learning curve and that the first few brews won’t be the best. Why not put my old coffee to good use? For my initial brews, I used a somewhat flat older Tanzania that I thought was a little over roasted when I made it in an AeroPress. When I made it with the Cold Brew Dripper I was shocked. It was bright and lively. A coffee I was planning on throwing away ended up tasting amazing with the cold dripper. The cold dripper will not make all flat coffee taste great, but those coffees on the edge will certainly benefit from this brewing method. 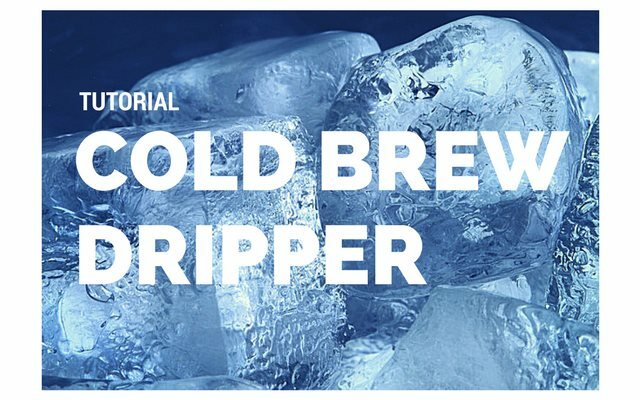 For this cold dripper tutorial, we will be using the Cold Brew Dripper by Osaka Coffee. It consists of three parts. The top part is the chamber that will hold the cold water and ice. It also includes a lid. The middle part is the filter which will hold the ground coffee. It will rest on the third part which is the glass carafe. As with all brewing methods, we start by finding our ratio. This means parts water to parts coffee. I often use a 17-1 ratio (water to coffee) for hot coffee and a 4-1 ratio for a cold brew. Osaka recommends a 14-1 ratio. I liked that ratio for African coffees but found it a little weak for Latin American coffee. When I strengthened the ratio to 12-1, I got better results. I was using lighter roasted coffees. The ideal ratio is somewhere in the 10-1 to 15-1 range. Experiment. 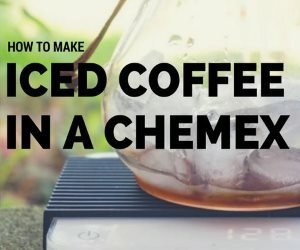 For this tutorial, we will be using 35 grams of coffee brewed at a 12-1 ratio. The coffee will be ground medium coarse. See our Coffee Grind Chart for a visual explanation. Place the ground coffee inside the filter. The top chamber will hold a mixture of ice and water. There are two things that go wrong here. If you use too much ice, the brew can’t finish until the ice is melted. You don’t want to be staring at a chamber of ice for an hour or more waiting for it to melt. On the other hand, if you don’t use enough ice and the finished product isn’t cold, you can always add ice later. Not ideal either, but not a problem. The perfect outcome is all the ice melts and the finished coffee is cold. 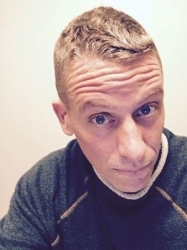 What is a good ratio? It depends on if you the water you use is already cold and how warm the room is where you are brewing. For a cool office with chilled water, you won’t need any ice at all. For a warm kitchen using room temperature water, start with 40% of the water weight as ice. Using cold water in a normal kitchen temperature 68-72 F, I got the best results using 10% ice. Weigh out 42 grams of ice and place into the top chamber. Also, weigh out 378 grams of cold water into a something you can use to pour. If you do not have a scale, you can still make the coffee. Fill the filter with ground coffee until almost the top. Then in the top chamber fill it to the line with cold water and ice. Unless the brewing environment is warm, use very little ice. Just a few cubes. If you use this as a starting point, you can adjust in subsequent brews to make the coffee stronger or weaker to your liking. You will not start brewing directly onto the dry ground coffee. 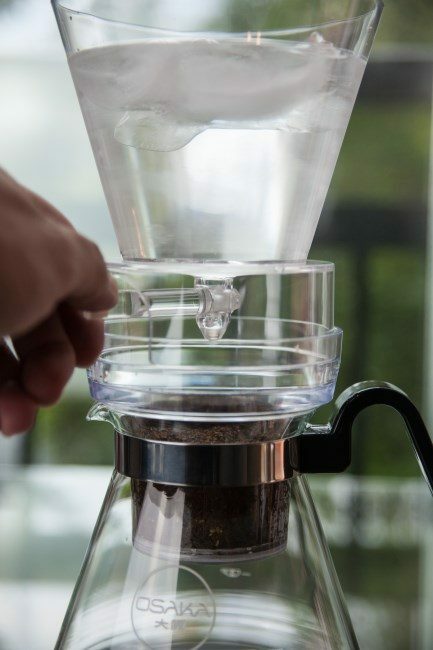 Before placing the top chamber above the filter, gently pour just enough water over the coffee to wet the beans. You will be pouring from the container holding the cold water. By wetting the beans you are making sure that all the grounds make contact with water. If you don’t wet the beans, the water drops can tunnel straight down leaving the coffee around the top edges dry. This means your coffee could taste weak. Now that the coffee grounds have been soaked, place the top chamber on top of the brewer. Add the remaining cold water onto the ice. Place the lid on top of this chamber. At this point, you will dial in the dripper. 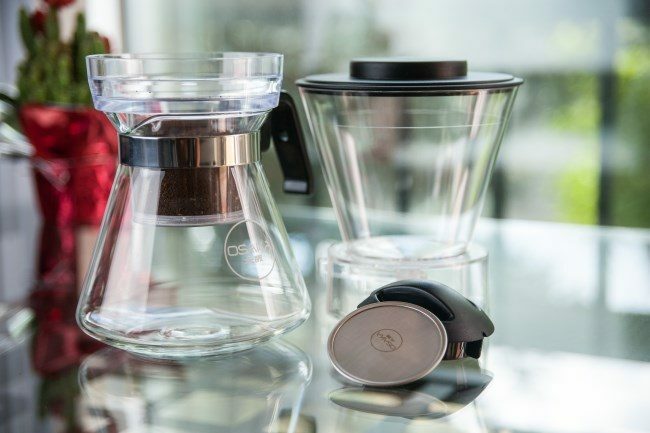 By turning the handle, you can control the flow of coffee into the bottom chamber. Osaka recommends aiming for 2 drops every 3 seconds. As the water weight in the top chamber drops, so will the flow rate. After about 60-90 minutes, adjust the flow to bring the dripper back to 2 drops every 3 seconds. When the last drop of water has left the top chamber and passed through the coffee, the brew is complete. Remove the top and middle chambers. Pour and enjoy. If it is not cold enough, you can either add ice or place in the refrigerator. If it is too strong, you can add more cold water. And if it is too weak, you can try again with more coffee, less water or a little finer grind. The clean up is super simple. Empty the grounds into a compost bin or garden. Rinse all the parts and set aside to dry. 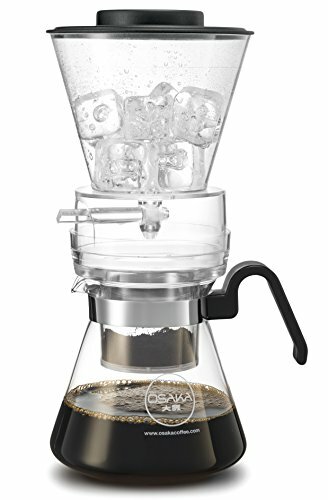 The Osaka Cold Brew Dripper is dishwasher safe. Other drippers may or may not be. Check first. If you find your coffee tastes weak and you can see the drips have made a tunnel directly into the center of the beans, there is a fix. Place the second filter on top of the ground coffee just after you wet the grounds in Step #4. This will diffuse the water evenly across the beans. For most of my brews I did not need to do this trick, but when the coffee I used was older or darker, having the second filter on top evened out the water flow through the ground coffee. No more tunnel. 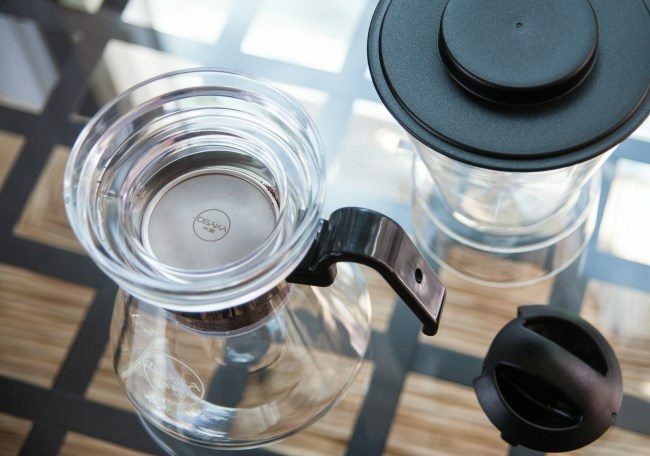 The Cold Dripper is not going to be the ideal coffee brewer for everyone. It has a very long brew cycle. However, I do think it would be perfect for someone with a desk job. Come into work with a hot coffee and then set up the dripper. Then a few hours later, you have your next delicious coffee waiting for you. No electricity required. In my article The Quest for Good Coffee in the Office, I told the story about how my office had a strict policy against bringing in any electrical appliances. So I had to break rules. What I didn’t cover in the article was my rebel coffee lab was eventually shut down. With the Cold Dripper, I could have had great coffee without resorting to breaking any rules. 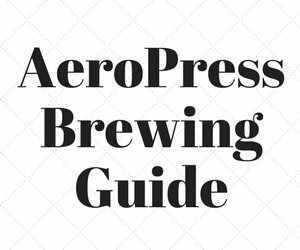 Coffee Brewing Guide – INeedCoffee brewing guide resource. 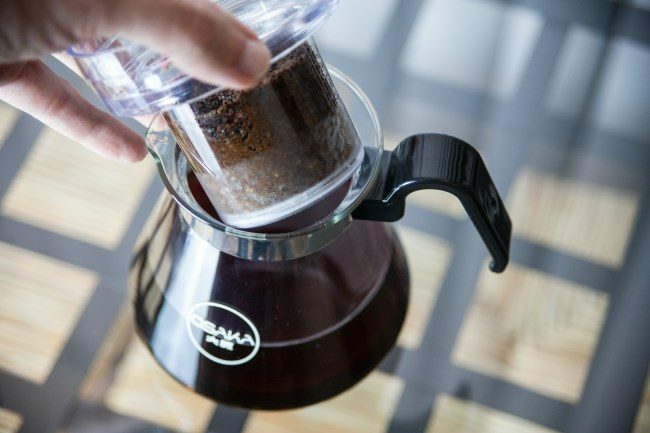 Disclosure: Osaka donated a Coffee Dripper brewer for this tutorial.